Pope Francis has called for a day of fasting and prayer for peace in Syria, in the entire Mideast region, and throughout the whole world to be held this coming Saturday, September 7, 2013. Prayers for peace in Syria, which is provided by Catholic Relief Services’ program Catholics Confront Global Poverty. 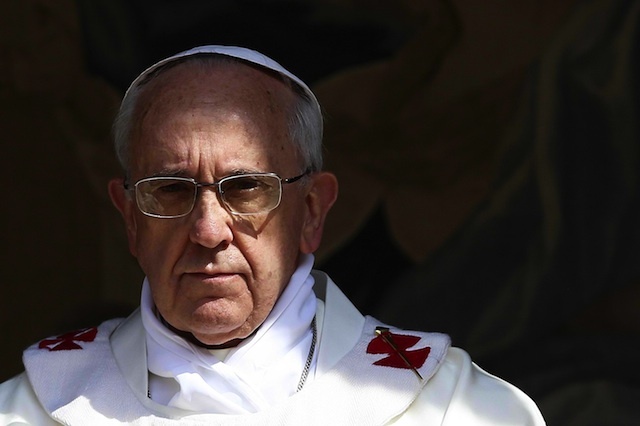 A report from AGENCE FRANCE-PRESSE says that on Monday a top Vatican official warned the war in Syria could escalate into a global conflict, a day after Pope Francis made an impassioned call for peace. “The Syria conflict has all the ingredients to explode into a war of global dimensions,” Monsignor Mario Toso, head of the Vatican’s Pontifical Council for Justice and Peace, told Vatican radio. “The solution to Syria’s problems is not in armed intervention. Violence will not decrease and there is a risk of a conflagration that extends to other countries,” he said. That complete story can be found here: http://www.rappler.com/world/37961-vatican-warns-syria-world-conflict. The Catholic Conference of Kentucky invites you to participate in this worldwide day of fasting and prayer to bring peace to those suffering in Syria and to avoid a regional conflict that destroys human life and dignity.